OK, we’ve just done four days and 2300 miles. We traversed eight states, experienced temperatures ranging from 37 to 102 degrees, and climbed from 1,200 feet above see level, to 10000, and back down 1800 feet. Did I say, in just four days? I’ve gotta tell you, there are lots of amazing sights to see in this country. And lots of amazing stuff that’ll pop up and delight you if you keep your eyes and your mind open as you travel. The welcome surprise we tripped over was the Colorado wine industry. Now I’m not a total, “American wines begin and end with Napa Valley” snob. I’ve written lots of good things about Washington State, New Mexico, and even Arizona. But I admit to being oblivious about Colorado wines until we started chatting with a very informative and helpful wine guy at a shop called Little Raven Vineyards in Denver. When we asked about the Colorado-made wines on his shelves, he recommended his favorites and pointed us towards the Grand Valley region in the southwest corner of the state. The next day we pulled off the interstate to investigate (always a good thing to do) and came across Plum Creek Cellars in Palisades, Colorado. And we were knocked out. Plum Creek is actually the oldest winery in Colorado, first planted in 1980. Owners Doug and Sue Phillips (Doug, sadly, passed away two years ago) grow mostly Bordeaux varietals. If you ask, “How can they do that in southwest Colorado?”, you’re asking the same question we did. The answer is all about my old friend, Microclimate. I’ve talked before about how local climate and topographic conditions can make one little area seem like grape heaven, in an otherwise unsuitable locale. 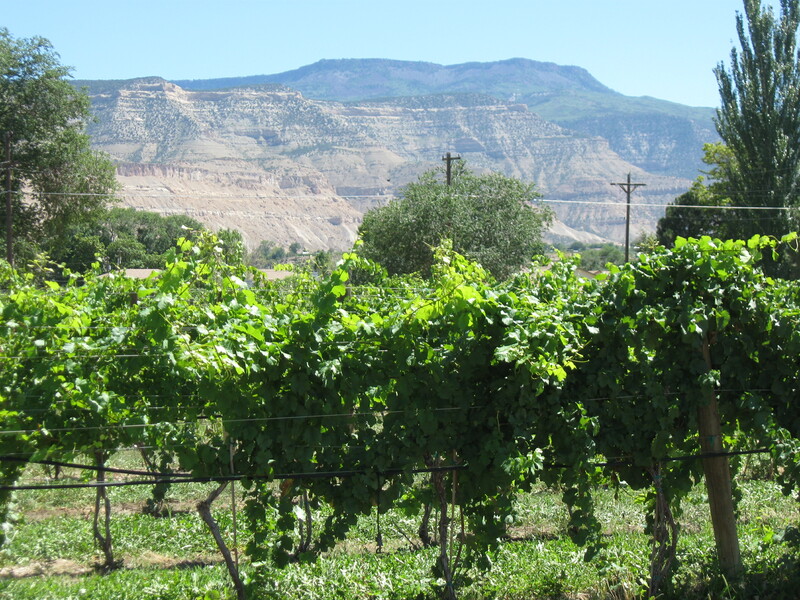 For Colorado’s Grand Valley region, what makes it good wine country is lots of sunshine that reflects off a huge sandstone bluff, cool nights that come from the high desert 4,700 foot elevation, and arid conditions that keep rainfall to a minimum. So they grow good grapes there. But you also have to know how to make good wine. And our tasting proved that Plum Creek can make good wine. General Manager Christine Kiefer led us through a tasting of current releases, including the 2009 Chardonnay. It showed rich tropical fruit with a good balance: enough acid to keep it snappy and just enough French oak to add some spice and roundness. The 2009 Sauvignon Blanc was my husband’s favorites style — crisp, clean, grapefruit-y and very refreshing. For reds, The 2008 Merlot was delicate, with some added Cabernet Franc that gave it extra complexity and elegance. Their signature red blend, 2008 Palisade Red, was bold and rich, made from Merlot, Cabernet Sauvignon, Cabernet Franc and — surprise — 5% Sangiovese. I loved the depth and complexity of this blend, and like the previous two wines, it sells for only $15. This is HUGE value for the price. Their premium red, 2006 Grand Mesa, is a Cabernet Sauvignon/Merlot blend that can stand up to any California blend at this price ($30). It was a stunner, with loads of deep, dark blackberrry and cassis fruit, an intense mid-plate, smoky vanilla oak, and a soft, lingering finish. And speaking of California wines, word has it that a delegation from the Napa Valley came to Palisades about five years ago, armed with a selection of California’s finest to enter in a blind tasting competition with Colorado wines. You’ll never guess who won the Chardonnay challenge: little old Plum Creek, of course. I hear there were other winners among the Colorado entries, and if anyone out there can pass along any information about this event, I’d appreciate it. I hope you have the opportunity to taste Plum Creek and other Colorado wines, although that’s unlikely if you live outside the state (most or all of the wineries don’t ship out of state). But if you’re in Colorado, make it a point to get off the beaten track, like we did, and have a wine adventure. Cheers! I am glad you got to taste some of our Colorado Wines. We have a lot of great wineries and Plum Creek I agree is good. I think there may be a discrepancy on the oldest winery. 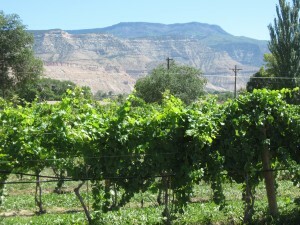 Colorado Cellars has been around since 1978 and were the first to start making wine in Colorado, http://www.coloradocellars.com. Also, most wineries have wine club members that they ship to. It used to be that you could only get the wine at the wine tasting room, but that has not been in play for awhile. There are certain states that still can’t have wine shipped to them, but I am pretty sure they will ship wine if they are able. Hi Kim, thanks for your comments. I admit that I’m new to Colorado wines and hope to taste and buy more in the future. Do you have any favorites? Hi Kim — I just logged on to WineyWomen.com. Good website! I wish you success in promoting Colorado wines. Informative story, saved your site for interest to see more! Hello! Irecentlyfound your blog via Google. What a great blog you have! I appreciate it very much! Thank you for putting out such valuable information to the entire internet world!